There was actually everything nice about this get together in Alibaug. It was Shah Rukh's birthday after all! Birthday celebrations had begun for Shah Rukh Khan at his farmhouse in Alibaug on Wednesday evening. The superstar blew out 52 candles on his birthday cake at midnight yesterday but ahead of that it was party time with friends! You say the word 'party' and Karan Johar is there... so are Deepika Padukone, Alia Bhatt, Katrina Kaif, the Arora sisters - Malaika and Amrita, Sidharth Malhotra, Riteish Sidhwani and Farah Khan, all of who feature in jealous-worthy snippets from the guests' Alibaug diaries. "Eve of the birthday!" Karan wrote for the photos on Instagram. Gauri Khan, Suhana and AbRam have also checked in already and are having a blast too - we know this because the little one was already photobombing Katrina and Alia's pictures. 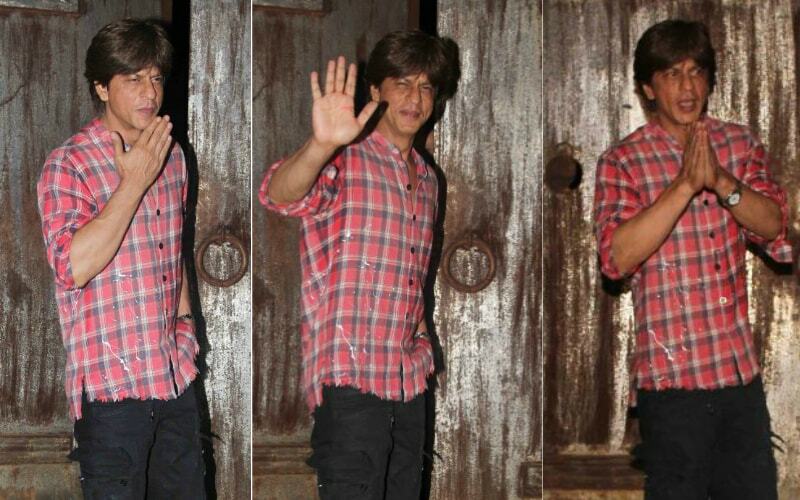 During the party, Shah Rukh also stepped out of his Alibaug residence to meet and greet the line of waiting paparazzi. This is how the celebs were unwinding ahead of the big party. Meanwhile, there was actually everything nice about this get together. It was Shah Rukh's birthday after all! Guys, thank you so much for keeping us updated from the party. BTW, we can 'spot the whos' in all of them in this one. Can you? It appears that Shah Rukh's guests left for Alibaug in two batches - Shah Rukh and AbRam may have jetted their way to the venue along with Farah, Sidharth, Katrina and Alia while Gauri and her girlfriends were spotted leaving from Mumbai on Wednesday afternoon. Malaika, Amrita Arora along with Sanjay Kapoor and Neha Dhupia. We haven't got a glimpse of Shah Rukh's eldest son - Aryan is away from home, studying films in the University of South California. Meanwhile, Shah Rukh's guests have been leaving Alibaug in batches since today morning. Alia, Deepika, Sidharth and Karan were one of the early ones to head back to Mumbai. 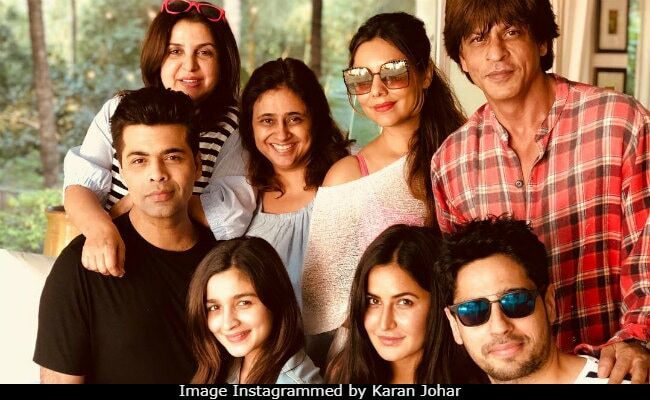 Shah Rukh Khan's birthday celebrations are a break from the schedule of his film with Aanand L Rai, in which he co-stars with Anushka Sharma and Katrina. Shah Rukh has made two films this year - Rahul Dholakia's Raees and Imtiaz Ali's Jab Harry Met Sejal. We send our best wishes to Shah Rukh Khan, keep rocking King Khan!